Start Your Free Subscription to PharmaVOICE Today! Read the magazine your peers are reading and see who's raising their VOICE on the topics and trends that are impacting the life-sciences industry. Click here to order/renew your subscription. Asian Hospital & Healthcare Management is a bi-annual magazine from Ochre Media. It is the leading Healthcare title in print as well as digital versions serving the information needs of key executives from the world's leading Healthcare providers. AsianHHM covers important issues and trends shaping the future of the Healthcare industry across Asia and rest of the world. It offers dedicated, reliable and accurate coverage of the industry's progress and incisive analysis to help its readers make informed decisions to stay ahead of the competition. 20/20 Pharma, published by IMI, is a magazine and website which presents insightful analysis of current events, developments, and trends in the pharmaceutical world. The publication has forged powerful relationships with key industry leaders to provide a platform for decision makers to have the means to procure and plan implementation strategies based on the topics covered. European Life Science journal is since ten years devoted to presenting outstanding research and researchers within the life science fields in Europe. Collaboration and networks are key factors leading to success in the cutting-edge areas of research and innovation. As a cross-disciplinary journal, European Life Science profiles all fields that provide new insight into the research and development of human health and disease, such as clinical advances in medicine, biotechnology, chemistry, drug discovery, genetics, material science, medical research, microbiology, molecular cell biology, neuroscience, pharmacology and physiology. The journal also covers issues concerning intellectual property case law and policy. European Life Science strives to bring you scientific information from the most influential researchers and is read by people with great influence. The journal builds bridges between scientists, science parks, companies, venture capitalists, countries and organisations. You can reach influential researchers, industry and venture capitalists all over the world through an advertisement in the European Life Science Journal for international business within the life science fields in Europe. BioConference Live, is a series of information breakthrough online-only events, focused on theClinical Diagnostics and Life Science communities. Live streaming video presentations from thought leaders - with the opportunity for attendees to interact by texting questions to these experts in real-time. A virtual exhibit floor and virtual booths featuring several of the leading technology product and service providers. An emerging technology showcase featuring award winning companies with scientific products or services. Attendees can save and download information from exhibitor booths, presentations and a resource center. We publish more than 2,500 health, science and technology journal titles and 11,000 online books. Our online network reaches over 16 million professionals at corporate, academic, governmental and medical organizations each month. Who we are: A global company headquartered in Amsterdam, employing more than 7,000 people in 24 countries. Partners: A global community of 7,000 journal editors, 70,000 editorial board members, 300,000 reviewers and 600,000 authors. In the community: We are a founding publisher of global programs that provide free or low-cost access to science and health information in the developing world. History: Elsevier's roots are in journal and book publishing, where we have fostered the peer-review process for more than 130 years. Today we are driving innovation by delivering authoritative content with cutting-edge technology, allowing our customers to find the answers they need quickly. Pay us a visit today to stay informed on the latest trends in the world of pharma and also receive special offers and promotions. More features coming soon! JAIC Asia Bio Network (JABN) is an on-line service platform which provides information sharing and business collaboration opportunities to enhance the biomedical business ties between Japan and Asia. JABN Japanese site provides industry news, company and product information, business partnering opportunities in Japanese with a focus on overseas market, whereas the English site provides similar information in English with a focus more on Japanese market. We also provide customized consulting services to meet specific needs. Please visit http://www.apbiotech-japan.com or send email to sales@apbiotech-japan.com for enquiry. ChinaExhibition.com (a.k.a “CE”), a subsidiary of China Exhibition Limited (Hong Kong), currently with offices and representatives in Hong Kong, Taipei, Xiamen, Nanning (ASEAN Headquarter). CE focuses on all trade shows, exhibitions and business events held in China, and provides online and tailor-made services to all professionals. Computational and Structural Biotechnology Journal (CSBJ) is an online journal publishing research articles and reviews after full peer review (ISSN 2001-0370). 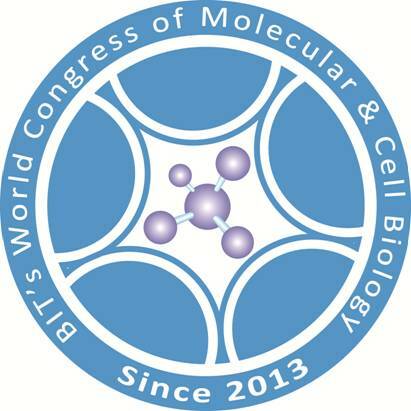 CSBJ is affiliated with theInternational Chemical Biology Society & Hellenic Society for Computational Biology and Bioinformatics. All articles are published, without barriers to access, immediately upon acceptance. The journal places a strong emphasis on functional and mechanistic understanding of how molecular components in a biological process work together through the application of computational methods. Structural data may provide such insights, but they are not a pre-requisite for publication in the journal. EventsIngredients is a global online marketplace for event industry. The aim of launching EventsIngredients is to connect global event services and products organizations with their potential customers. Our online platform also provides valuable information about emerging career opportunities in this booming sector. We also promote global upcoming events through our various promotional tools. We are working as a channel between customers and sellers. Where customers can use this global platform to explore more options to fulfil their requirements as per their budget, on the other side suppliers can use this platform to generate new business leads form across the global and can increase their sales. For more pl. visit www.eventsingredients.com or write to us at info@eventsingredients.com .